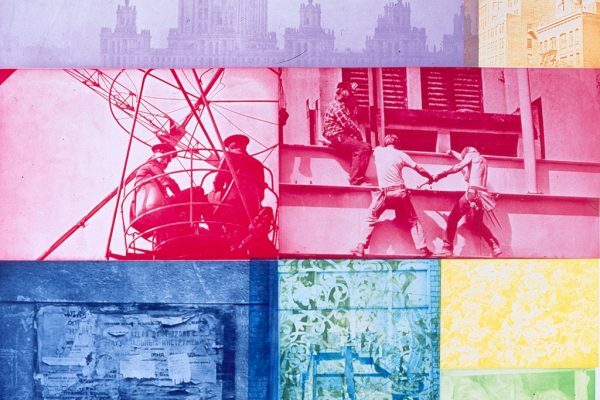 Robert Rauschenberg, Soviet/American Array VII (detail). 1988-91. Photogravure on paper, artist's proof, 78.63 x 51 inches. 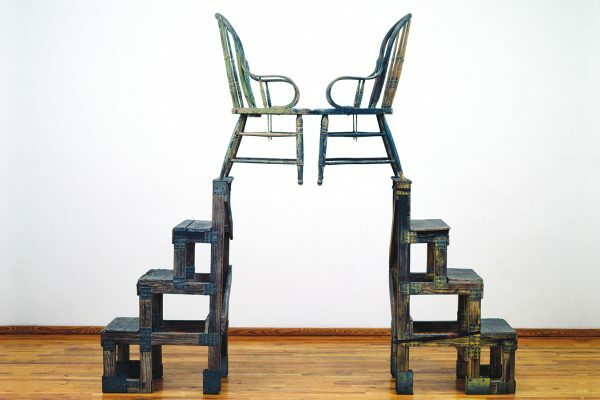 Robert Rauschenberg Foundation, New York, New York. © Robert Rauschenberg Foundation. The function of art is to make you look…into your own life—see the secrets that are in the shadows, or in the way the light falls somewhere. 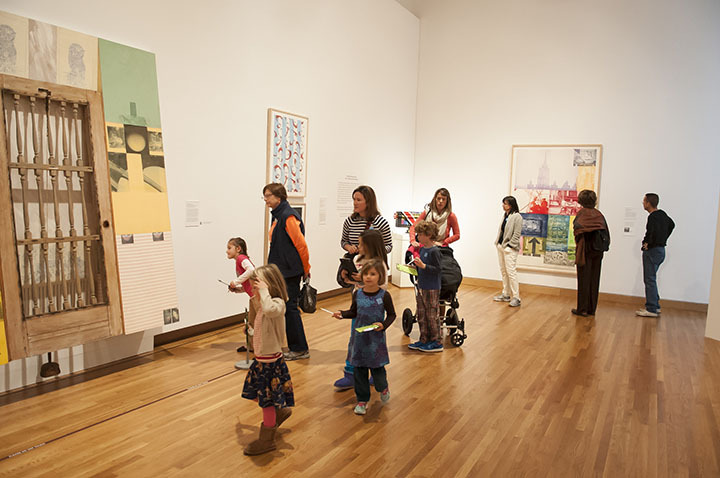 Kristine Stiles, France Family Professor of Art, Art History, and Visual Studies at Duke, worked with five Duke undergraduate students to organize Rauschenberg: Collecting & Connecting. They were Lauren Acampora, Katherine Hardiman, Emma Hart, Jacqueline Samy and Taylor Zakarin. Photo by J Caldwell. The Robert Rauschenberg Foundation in New York invited Duke professor Kristine Stiles to organize an exhibition of works that the artist had reserved in his own collection alongside contemporary works from the Nasher Museum collection. 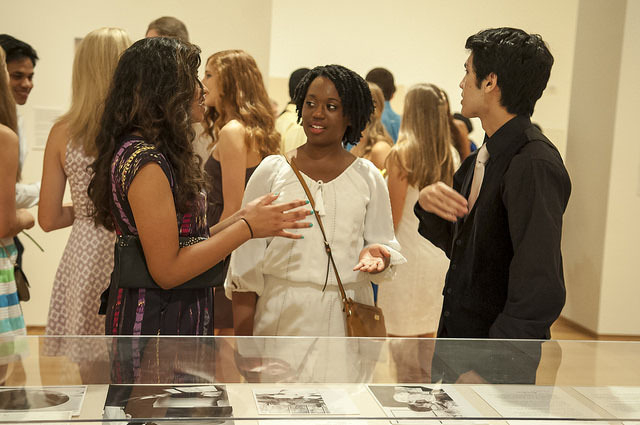 Kristine Stiles, France Family Professor of Art, Art History, and Visual Studies at Duke, worked with five Duke undergraduate students to organize Rauschenberg: Collecting & Connecting. 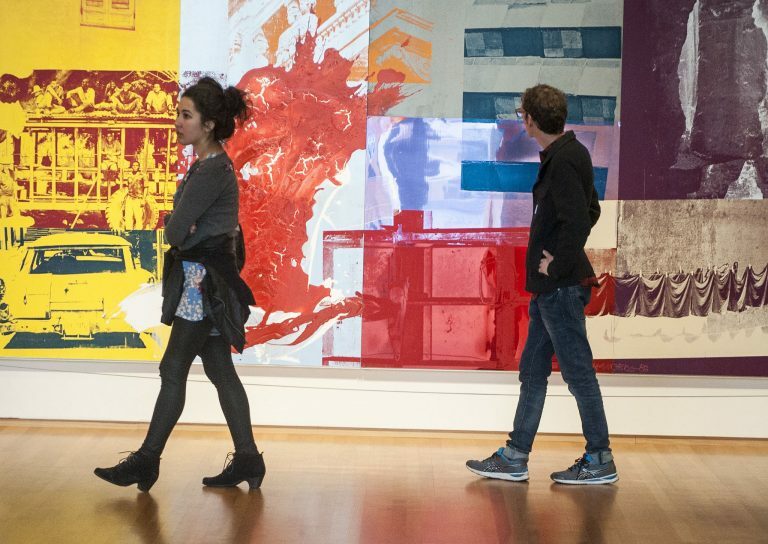 The exhibition offered a fresh look at 34 stunning works by Rauschenberg spanning six decades. 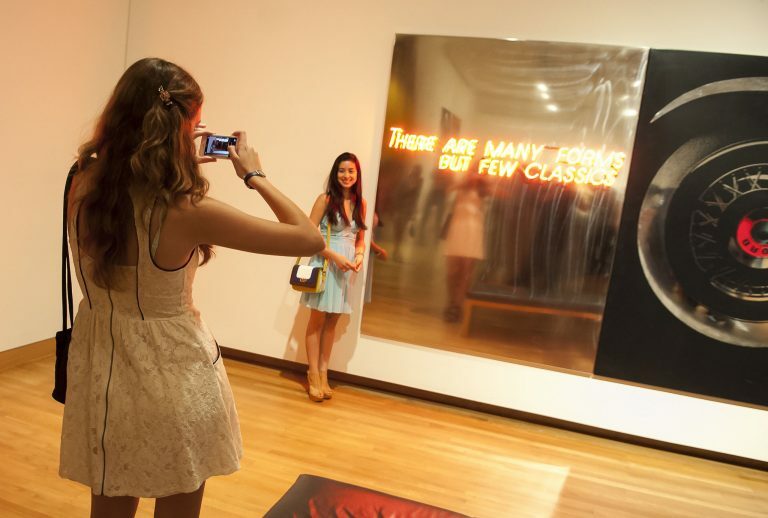 It was organized into eight sections throughout two gallery pavilions. Works from the Nasher Museum’s collection included Soviet nonconformists and conceptual art of the 1980s and 1990s─on view for the first time. Also featured were 24 works from a gift of more than 50 works by San Francisco artist Bruce Conner. The exhibition was accompanied by an online exhibition catalogue, published on the Robert Rauschenberg Foundation website, with essays by Stiles and student co-curators Lauren Acampora, Katherine Hardiman, Emma Hart, Jacqueline Samy and Taylor Zakarin. 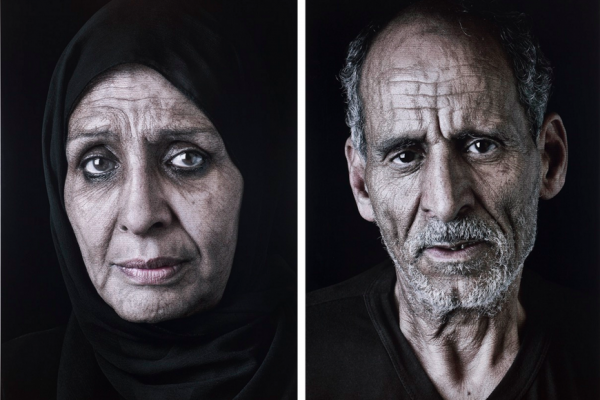 For more information, please peruse the mini website that was on view while the exhibition was at Duke. 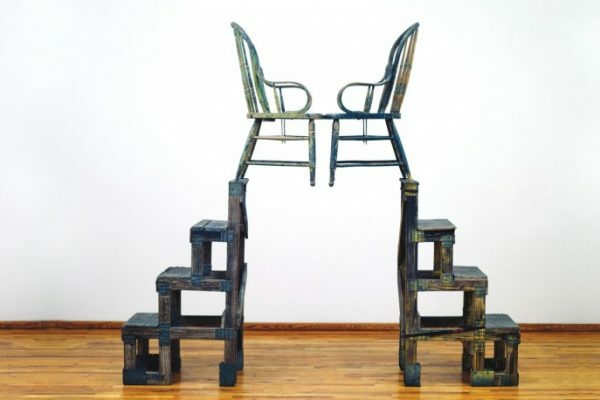 Rauschenberg: Collecting & Connecting was made possible by the Robert Rauschenberg Foundation, New York. 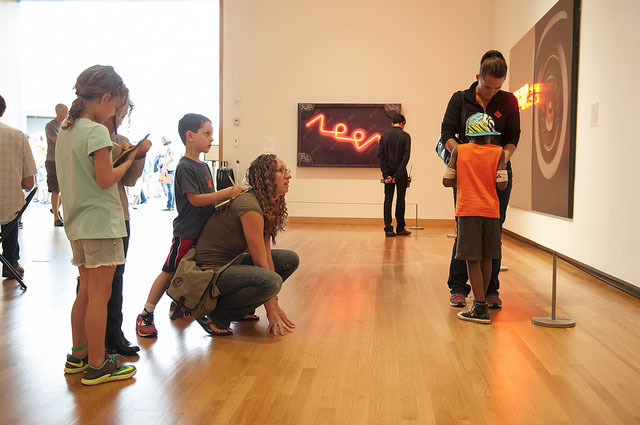 At the Nasher Museum, the exhibition was made possible by Trent Carmichael; David L. Paletz Innovative Teaching Funds; Office of Academic Affairs, Trinity College, Duke University; Parker and Otis; and Nancy A. Nasher and David Haemisegger. 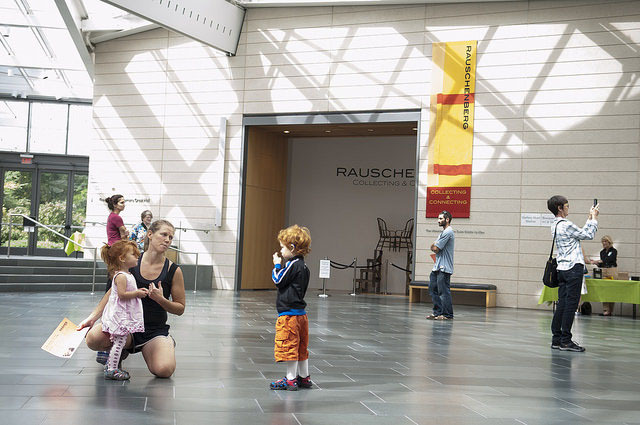 During a Free Family Day event, families visit a gallery featuring works by Robert Rauschenberg. Photo by J Caldwell. Duke students take photos with a work by Shimon Okshteyn, a Ukrainian artist. Photo by J Caldwell. 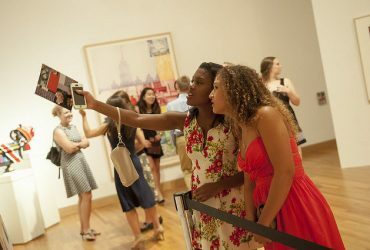 First-year students explore the galleries during a student party. Photo by J Caldwell. 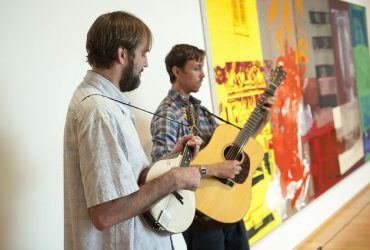 Musicians play live music in front of a work by Robert Rauschenberg during a Reflections tour. Photo by J Caldwell. 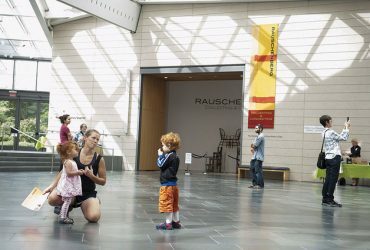 During a Free Family Day event, families visit a gallery featuring works by Robert Rauschenberg and other artists. Photo by J Caldwell. Visitors mill about the Great Hall near the entrance to the exhibition. Photo by J Caldwell. 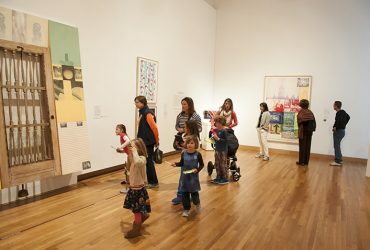 The exhibition was complemented by free programs and events, including an opening talk by Kristine Stiles, curator of the exhibition and France Family Professor of Art, Art History & Visual Studies at Duke; a talk by artist Vitaly Komar (formerly collaborating with Alexander Melamid); Duke student events; Family Day events; public library lectures; sketching in the gallery; teacher workshops and more. 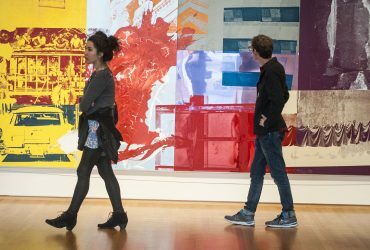 Browse a full online catalogue from the Robert Rauschenberg Foundation featuring art, student essays and more. 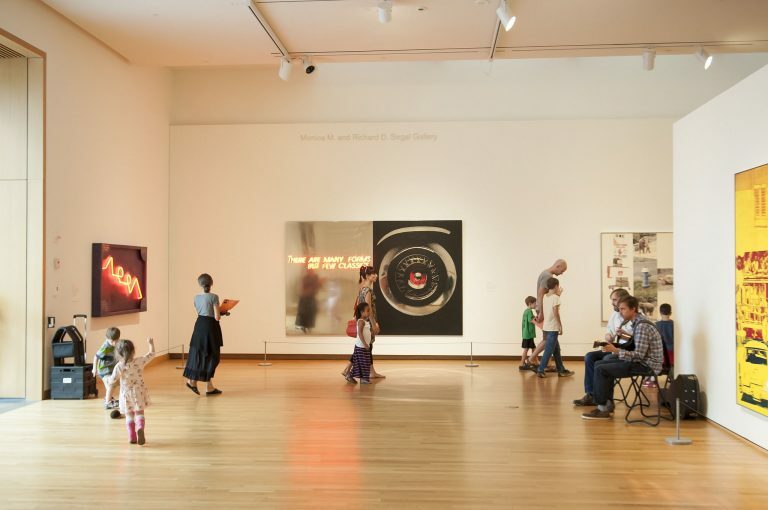 This 54-minute audio guide features the voices of Nasher Museum Director Sarah Schroth, Curator and Duke Professor Kristine Stiles and three of the five Duke undergraduate students who were her curatorial assistants, Lauren Acompora, Emma Hart and Jacqueline Samy.